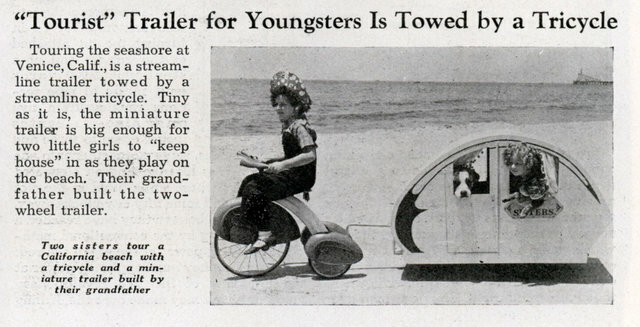 Touring the seashore at Venice, Calif., is a streamline trailer towed by a streamline tricycle. Tiny as it is, the miniature trailer is big enough for two little girls to “keep house” in as they play on the beach. Their grandfather built the two-wheel trailer.